Give her the key to your heart! 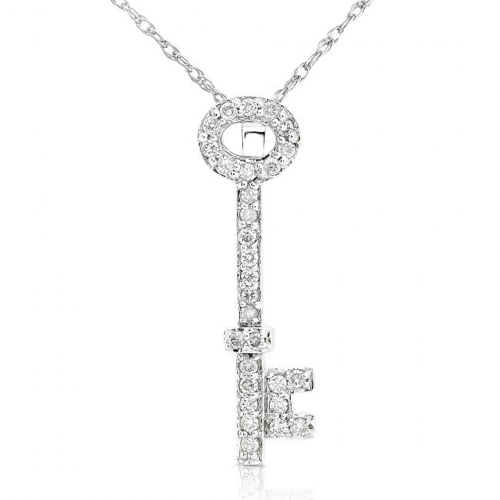 This cute diamond key is filled with 1/5ct of Round Brilliant diamonds set in 14K White Gold. Diamonds are G-H color and I1-I2 clarity.